These aerial shots taken 21 years apart show many of the changes that have taken place around the station area of Benfleet in that time. 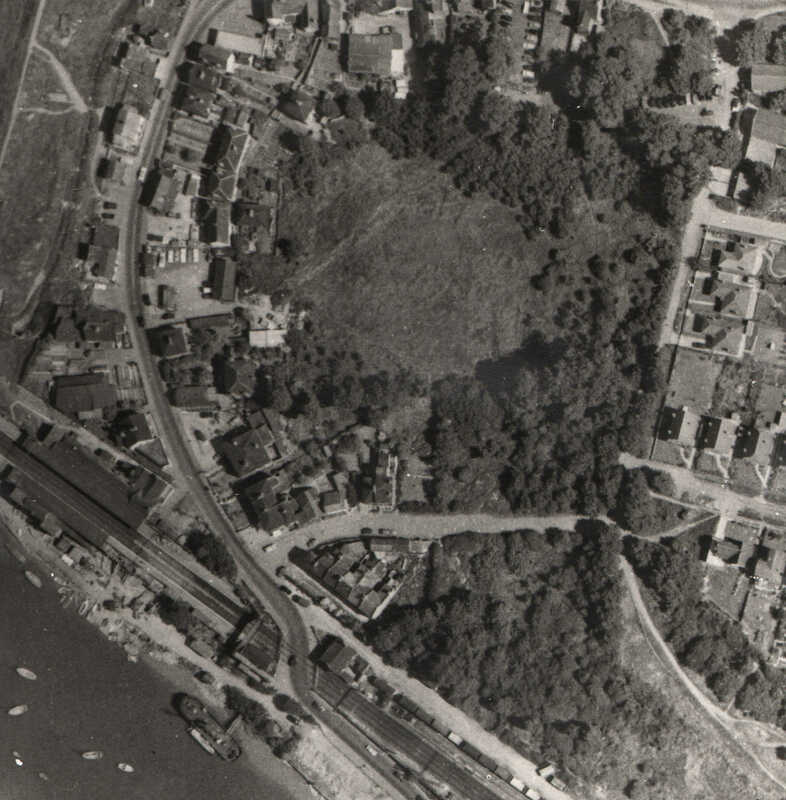 Benfleet Yacht Club’s boat is moored opposite the old railway crossing, club boats have been pulled up on to the foreshore by the station itself, in the 1960 photograph. The High Street was still the access road to Canvey Island, via the old railway crossing. 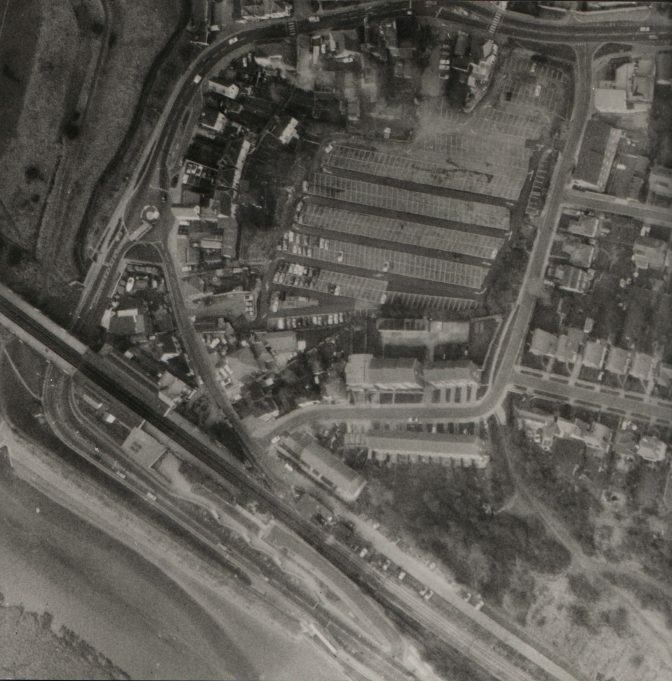 The new road under the railway bridge at Church Creek had not been built yet, along with the roundabout that is now outside the Conservative Club; many houses along Church Creek appear to have been demolished to make way for the new road. By 1981 a large car park has been built for commuters in School Lane, taking away a large green area and many trees had been cut down. Additional houses had been built in both Station Road and School Lane. The foreshore of Benfleet Creek has disappeared to make way for the new road. The Benfeet Yacht Club boat had been moved (by this time a new club house had been built on Canvey side of the creek beyond the tidal barrier) and a new station ticket office had been added on what was the foreshore of Benfleet Creek. These photographs were taken by Aerofilms and permission has kindly been granted for them to be copied and uploaded to the web, by the now copyright owners Bluesky @Blom. A copyright licence has been issued. These photographs had been purchased by Gilbert Wines who allowed Benfleet Community Archive access so they could be viewed by everyone.